​For this month’s Trainer Tips I had the suggestion from a trainer competing in the Extreme Mustang Makeover (EMM) – Reno (Dana Lovell – August 2016 Issue) to pose one question to all the trainers participating in this particular makeover to see their experiences with their new makeover horses. All these horses are unique in that they were all recently gelded studs. While I was initially disappointed in receiving only two responses out of 43 trainers – I had to sit back and admire each and every one of these trainers. There is more than meets the eye with only two responses. In every makeover, it is common for trainers to not finish. Personal time constraints or not feeling their horse will be ready in time (not all of these mustangs can be gentled and trained in 100 days). Occassionally, trainers realize that pushing their mustang’s training quicker than their horse is ready, would be detrimental to the well being of their makeover horse – either mentally or physically – and they withdraw from the competition. The action of putting the horse’s well being first, over the thought of competing in a competition, is highly commendable in my opinion. In this EMM- Reno, there have been health issues for several of the makeover horses. Dana Lovell’s horse, Atticus, contracted equine flu – which temporarily delayed any training until he was well enough to begin work again. Matt Zimmerman’s horse, Slider, had been “off” since Matt got him. Matt sought out the cause of the lameness it was discovered he has an old injury to his shoulder. 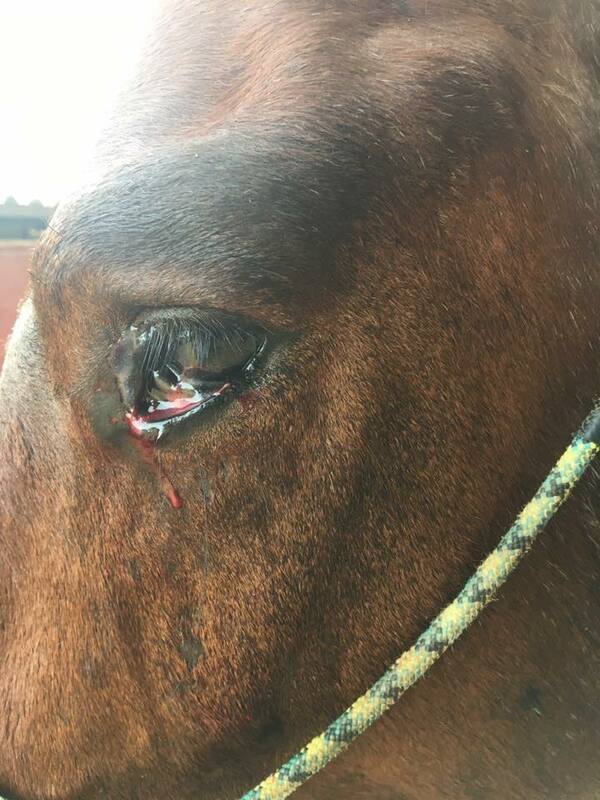 Luke Castro’s horse, Forrest, had a large fatty tumor removed from his eye. “Forrest by far has been my most expensive Makeover horse! So I am so thankful!!! When some one decided to donate for their vet to come out and float Forrest teeth. In the process of the vet floating his teeth, he noticed his eye, and says "that's ugly! We need to fix that" so 5 min later Forrest had a big! Fatty tumor removed from his, he than checked his eye over again in the dark and saw no signs of the moon blindness, the eye/eyes are clear, God is good! His eye is almost healed and looks pretty normal. (May 8, 2017)”. Forrest will be competing in the EMM-Reno. Forrest definitely had something wrong with his eye prior to pick up. Many readers may not realize that the care of these makeover horses is the responsibility of the trainers they are placed with. This includes feed, farrier, teeth floating. The added expenses of these medical situations are also the trainers’ burdens. While some medical care is donated, or fundraising is done – the remaining expenses fall on the trainer. 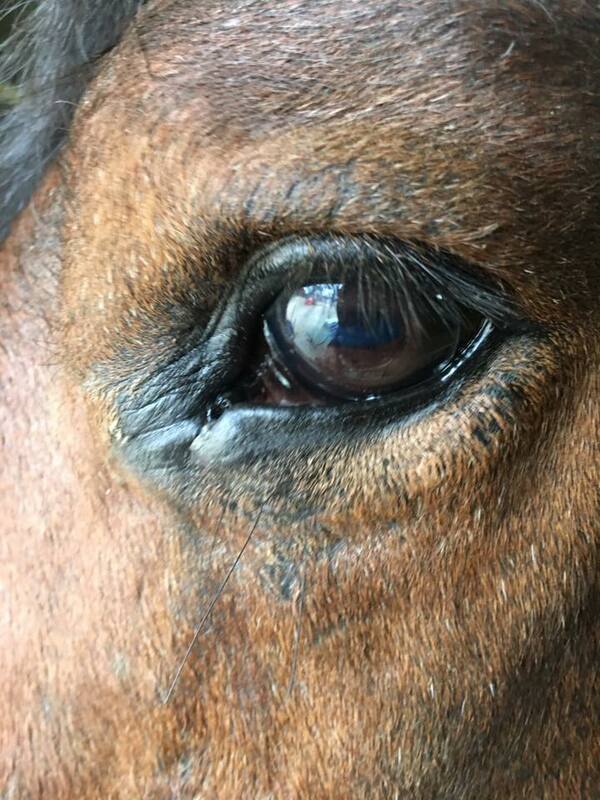 Not to mention the commitment of time, worry and TLC these horses receive. 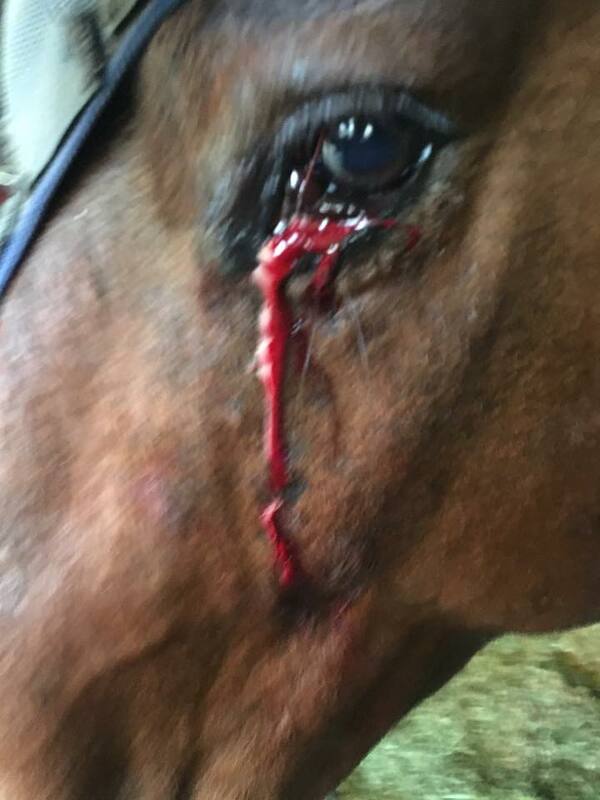 The EMM trainers are not compensated or reimbursed for the care of these horses. The EMM trainers participate in these competitions to make a difference in one horse’s life at a time. They educate the public about the versatility, trainability and intelligence of the wild mustang. They bring awareness to the public about the number of horses still in holding who need homes and how amazing these mustangs are. In my eyes, each and every one of the Extreme Mustang Makeover trainers is a winner.